It’s always a dicey move when a band gets big off a cover, mostly because that one track will likely end up overshadowing them for their entire career. Plenty of people remember I Prevail’s rendition of Taylor Swift’s Blank Space, but how many really remember what else they’ve done? Initially, that seemed to be the case for Bad Wolves too, not only because their cover of The Cranberries’ Zombie absolutely blew up, but because of the magnitude of it, with original vocalist Dolores O’Riordan passing away on the day she was due to record guest vocals for this version. Place that next to band’s next biggest claim to fame of being an extremely loosely-defined supergroup thanks to alumni of DevilDriver, Bury Your Dead and In This Moment among others, and it’s not hard to see what stands out the most. But credit where it’s due – despite the PS1 boxart masquerading as an album cover, Disobey proves to be a perfectly competent, easily-digestible metal album that’s probably won’t propel Bad Wolves to the big leagues on its own, but it’ll certainly help. Compared to a band like Five Finger Death Punch who’ve reached their limit with this sort of straightforward metal, Bad Wolves aren’t exactly revitalizing it, but some extra threads of metalcore keep it from going totally stale and lend a bit more life where it’s needed. And even then, there’s hardly anything on Disobey that doesn’t conform to the groundwork previously laid out for them. This is meat-and-potatoes hard rock and metal at its purest essence, with size and strength being the band’s greatest asset, but that extra bit of heaviness swiftly moves away anything too derivative. Though it largely occupies the same lane, this isn’t another Three Days Grace or Shinedown, as the likes of Officer Down and Better The Devil demonstrate in sharper, harsher metalcore instrumentation and Tommy Vext’s vocal delivery with the potential for more guttural, quickfire screams. It’s nothing particularly special for the majority of the time, and more melodic cuts like Zombie and Hear Me Now feel closer to polished post-grunge ballads than they really should, but like Five Finger Death Punch before them, Bad Wolves prove themselves able to wring as much out of their material as they can, particularly at their more aggressive and technical moments like Jesus Slaves. 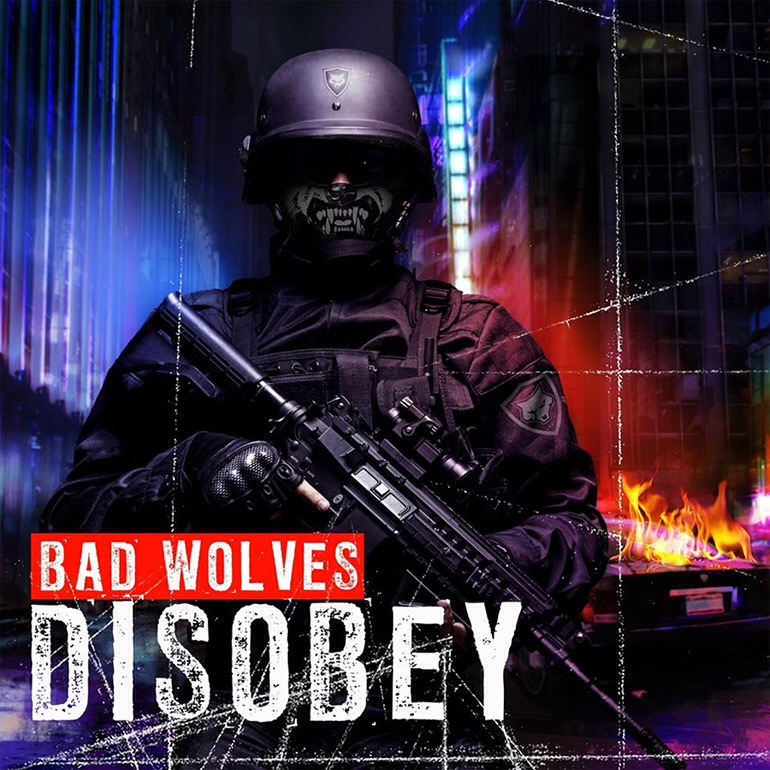 Where Bad Wolves really set themselves apart, though, is in their writing, and again, it’s not as consistently high as it could be, but Disobey’s best moments channel the anger for something a fair bit more biting and provocative than their peers. Obviously there’s enough of a broad, blunt approach to not alienate the radio-rock crowd, but there’s definitely still impact, from stands against police brutality on Officer Down, divisive, disparity-widening governments on No Masters and of course Zombie, and even Vext’s experiences of almost being killed by his own twin brother on Remember When. Unfortunately there’s a considerable dip in the back half when tracks like Hear Me Now and Shape Shifter seem to fall back on modern hard rock tail-chasing, and from an overall perspective, Disobey can feel like the product of a band playing it safe at points. The flashes of greatness that Bad Wolves display are tempting, but they’re tentative steps at best, and although competent, it’s perhaps not the best example of the band’s peak in its entirety. Even so, considering how so many bands like this seem consigned to the middle of the road and unable to move, Bad Wolves are at least forging something a bit more interesting. It’s still very much an incomplete framework, but they’re a band still deep in their infancy, and the foundations here are definitely strong enough to build something to differentiate themselves from the pack. As unassuming as Disobey may prove on the surface, Bad Wolves have enough in their locker to break away from any notions of being just a cover band. ‘Disobey’ by Bad Wolves is out now on Eleven Seven Records.